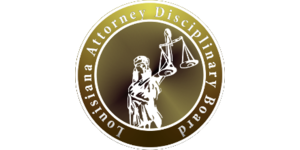 These lawyers were the subject of Louisiana Supreme Court disciplinary orders or Louisiana Attorney Disciplinary Board recommendations published during the month of December 2018. George Allen R. Walsh. The court suspended the respondent for six months, with all but thirty days deferred. The respondent practiced law while ineligible for failure to complete MCLE requirements. Rebecca Lynn Vishnefski. The court reinstated the respondent to active status. Kristy E. Griffin. The court granted the respondent’s request for permanent resignation in lieu of discipline, prohibiting the respondent from practicing law. Michael Sean Reid. The court disbarred the respondent retroactive to the date of his interim suspension. The respondent neglected legal matters, failed to communicate with clients, failed to return unearned fees, failed to adequately monitor his client trust account, and failed to cooperate with the ODC’s investigation. Salvador R. Perricone. 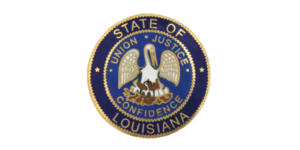 The court disbarred the respondent, a former federal prosecutor for the United States District Court for the Eastern District of Louisiana. The respondent, using various pseudonyms, made extrajudicial comments on social media regarding cases investigated and prosecuted by his office. Gregory Cook. The court suspended the respondent for a six-month period, with all but thirty days deferred. The respondent engaged in a conflict of interest in a client’s succession matter. Michael S. Sepcich. The court readmitted the petitioner to the practice of law, subject to compliance with a JLAP recovery agreement. The court previously disbarred the respondent for false billing practices. James Paul Johnson. The court disbarred the respondent, retroactive to the date of his interim suspension. The respondent was convicted of simple battery, violation of a protective order, and misprision of a felony. John Julius Steger, IV. The board recommended that the court impose an eighteen-month suspension, fully deferred and subject to a five-year period of probation conditioned on JLAP participation. The respondent misused Ambien and alcohol, which resulted in a car accident. Jennifer E. Gaubert. The board recommended that the court impose a one-year and one-day suspension. The respondent was convicted of two misdemeanor crimes, namely, battery and criminal mischief. David H. Bernstein. Hearing Committee #23 recommended that the court not readmit the respondent to the practice of law. The court previously disbarred the respondent for not reporting fee income to two law firms. Matthew B. Collins, Jr. Hearing Committee #24 recommended that the court impose a six-month suspension. The respondent failed to adequately represent his client, failed to keep his client reasonably informed about the status of a matter, failed to protect his client’s interests after the representation terminated, and failed to cooperate with the ODC.